Cascais Oeiras Lisboa Classic 20Km - Running all along the ocean from Cascais, Estoril into Lisbon, by the coast, also called Costa do Sol. This route is really beautiful with its natural beauty. The race start from the Casino Estoril to Lisbon along the sea, the finish line is installed opposite the prestigious monastery Mosteiro dos Jerónimos. Located in mild and fertile valleys, Gondomar is famous for works in jewelery, activity in existence for centuries and that are believed back to the time of vigodos and Celtic. The origin of this activity is directly related to the existing gold mines in the region, closed for more than two centuries. 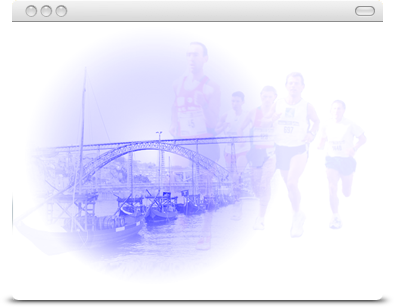 The Marathon of Porto with its 9th years of previous experience, starts for the 13rd. edition. 6 November, the organization wishes to confirm the good performance at the organizational level and offer participants an excellent service. Many world class athletes take part in the event. 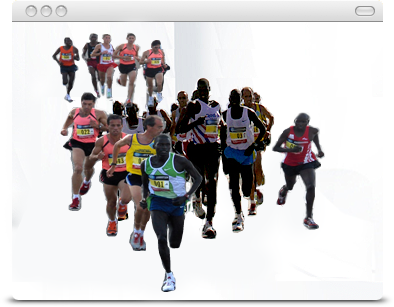 The discoveries half marathon comes to occupy a space left empty by the Lisbon Marathon. December being a peak month to practice long-distance races and perhaps one of the last opportunities to run in the open air in Europe before the arrival of winter. The streets of the city of Lisbon, historical monuments, will be the decor of the half marathon. Wsparcie dla biegaczy, serwis promocyjny, newslettery skierowane do miłośników biegów ulicznych. Internetowa promocja imprez, obecność na najważniejszych biegach w Europie, wzajemna wymiana linków. Newslettery, specjalne oferty, e-mailing w różnych wersjach językowych.